Join the Friends of Gillespie County Country Schools Trail for their open house at the Cherry Spring School from 11 am to 4 pm on Saturday, March 1. The Trail allows visitors to learn about the education and customs of the 19th century residents of German heritage in the Hill Country. Each month a different rural county school will host an open house and tour. Color coded maps of the trail are available at the Visitor Center at 302 E. Austin Street. Fredericksburg Art Guild, 308 E. Austin, will host "Faces & Places in Gillespie County" from March 1 thru April 12. Hours are from 10AM to 4PM. This is a juried art show for Gillespie County artists or artists who belong to an art club in Gillespie County. You may view the art work Thursdays - Mondays. This event is free. Please call 830/990-6919 for more information. The Fredericksburg Theater Company presents 'Nunsense'. The Little Sisters of Hoboken are raising money for a very unusual purpose, but then they are very unusual nuns. Performances are Fridays and Saturdays 7:30PM and Sundays at 2:00PM. Please call 888/669-7114 or 830/997-3588 for more information or purchase tickets online. Artisans at Rocky Hill presents 30 days of never before seen Turnings made of wood and other unique materials created by some of the Hill Country's finest craftsmen. Demonstrations will take place each Saturday during the show. Take advantage of this rare opportunity to see the creation of this unusually beautiful art form. Please call 830/990-8160 for more information. All day on Spay Day USA (today) dog lovers are encouraged to shop at Dogologie, either in person or online, because a portion of each purchase will be donated to the Pedernales Animal Welfare Society (PAWS) Steve Shepherd Memorial Spay/Neuter Fund, and also register to win a prize from Dogologie, located at 148 E. Main in Fredericksburg. PAWS volunteers will also be on hand to answer questions about their organizations and to help register pets for a free spay or neuter. Each individual who stops in will also receive a free copy of the PAWS Hunks and Huggables 2008 calendar, featuring Hunk, and Dogologie owner, David Pedregon. PAWS is a non-profit all volunteer organization dedicated to reducing pet over-population in Gillespie County through free pet spay/neuter services. For information on PAWS, call 830-990- 1018. Every Tuesday in February House.Wine, 237 East Main, is featuring dinner and a movie from 7-9 pm. A gourmet pizza will be selected with a movie in mind. Please call 830/997-2665 for more information. Have a fun family day at the Pioneer Museum, 309 W. Main Street, on Saturday, March 1, from 10AM to 2PM. Demonstrations and hands-on activies for children and adults illustrating daily life and work in early Fredericksburg. Admission for the museum is $4 per person ages 12 and older, with children 11 and younger free. Please call 830/997-2835 for more information. An evening celebrating the arts at the Nimitz Ballroom, 340 E. Main Street. Activities include an art auction, along with food and beverages. Proceeds from this event will benefit Ambleside School of Fredericksburg. Cost is $50 advanced purchase or $75 at the door. Please call 830/997-6007 or 830/990-9059 for more information. Enjoy a multi-course celebration of Texas wines and unique Hill Country cuisine, featuring Texas winemakers at Cotton Gin Restaurant, 2805 Highway 16 South. Cost is $49.95 plus tax and gratuity per person. Please call 830/990-5734 for more information and reservations. Celebrate Admiral Nimitz's birthday an February 24, from 9 am to 5 pm. 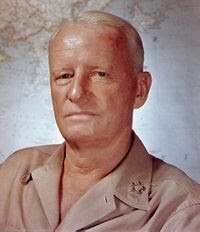 Chester W. Nimitz was the Commander in Chief of the Pacific fleet in World War II. Free admission to the Museum of the Pacific War at 311 E. Austin Street, for anyone who shares the same birthday as Admiral Nimitz. Birthday cake will be served throughout the day. Cost is the standard admission into the museum. Please call 830/997-4379 for more information. 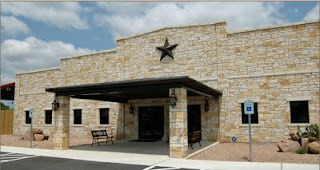 Fredericksburg Event Center, 224 Tivydale Road, hosts the first annual Young's Jewelry & Gun Inventory Reduction Sale. The sale will include over 400 guns, watches, jewelry and coins. Viewing available Saturday from 12:00 - 6:00PM and the auction is Sunday starting at 10:00AM. For information about sale items, please call 830/257-3663. For event information, please call 830/990-1010. For auction information, please call 325/347-6480 or email conleeauctions@yahoo.com. 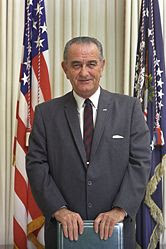 Celebrate President's Day in the hometown of President Lyndon B. Johnson at the LBJ National Historic Park. Dedication of the Withers and Spaulding Visitor Contact Station. Please call 830/868-7128 x231 for more information. Enjoy a Valentine's lunch at Becker Vineyards, Saturday, February 16 at 11:30 AM. Cost is $65 per person, plus tax. For reservations please call 830/644-2681. Enjoy a fun-filled, delectable afternoon learning everything you have always wanted to know about the pairing of wine and chocolate at Fall Creek Vineyards. Cost is $18 per person. This class has sold out before, so for reservations please call 325/379-5361. Fall Creek Vineyards is located on the northwest shores of Lake Buchanan in Tow, Texas. Fredericksburg Fudge is offering for Valentine's Day white and milk chocolate dipped strawberries. Please call 830/997-0533 for more information. Leadership Gillespie County is sponsoring a forum for candidates in contested races. All Gillespie County residents are invited to attend the forum at the Fredericksburg Middle School, 110 W. Travis Street from 6:30 - 8 PM. March 4th is election day. Valentine's Day Dinner and Dance at the Fredericksburg Event Center - Dinner and dancing to the music of John Christopher Way on the most romantic day of the year. Advance tickets are $50 per couple or $25 per person or at the door $60 per couple or $30 per person. Please call 830/990-1010 for reservations and more information. Valentine's Day Dinner at The Trois Estate - 7 pm - The Trois Estate invites you and your sweetheart to savor the romance of Valentine's with an unforgettable evening. Enjoy this 5 course meal and a long stem red rose for $55 per person, plus tax and gratuity. For reservations or more information, please call 830/685-3090 or 830/685-3415 for more information. Valentine's Day at House.Wine - Love. Life. It's all about love of life. House.Wine for Valentine's Day. Enjoy wine and dessert, along with special appetizers for 2. Please call 830/997-2665 for more information. Valentine's Day at Bejas Grill & Cantina - Enjoy Valentine's Day at Bejas Grill & Cantina. Please call 830/997-5226 for more information. Valentine's Day Lunch at The Peach Tree - Make your reservations today for a very special Valentine's lunch at the Peach Tree Tea Room. What better way to say "I Love You!". Please call 830/997-9527 for more information. Valentine's Day at Bonterra - Share a romantic and special Valentine's together at Bonterra. Please call 830/997-9742 for more information. Valentine's Day at Navajo Grill - Enjoy Valentine's Day at Navajo Grill, with a 5 course meal and a complimentary glass of champagne. Cost is $65 per person. Please call 830/990-8289 for more information. For those who love to cook and entertain these recipes will challenge and inspire! taught by Molly Fowler, The Dining Diva at Runnymede Country Inn on Highway 16 South at Boos Lane, February 14 from 10:30 AM - 1:00 PM . Cost is $35 per person. Please call 830/990-2449 for more information. Menu: Salad with Warm Balsamic Dressing, Slow-cooked Sausage and Mushroom Ragout on Crisped Polenta, Wilted Garlic Spinach with Artichoke Hearts, Sauteed Apples im Amarone with Marscapone (a luschious fruit/cheese dessert). A wonderful dinner menu that will scream "I Love You!" taught by Molly Fowler, The Dining Diva at Runnymede Country Inn on Highway 16 South at Boos Lane, February 13 from 6:30AM - 9:30PM. Cost is $40 per person. Please call 830/990-2449 for more information. Menu: Shrimp Bisque with Basil Cream, Hearts of Palm Salad, Beef Tenderloin with Mushrooms and Blue Cheese, Potato Gallette, White Chocolate Raspberry Torte. Families who are interested in learning more about Ambleside's educational philosophy and methods are invited to attend their open house next Sunday from 10 am to noon. Please call 830/990-9059 for more information. Ambleside School is located at 106 S. Edison Street. Wild About Texas 2008 Dinner Tour featuring Texas produced game meats and locally grown produce. Enjoy this 5 course dinner at Navajo Grill, 803 E. Main Street in Fredericksburg, at 7 pm for $60 per person + tax and gratuity. Seating is limited, please call 713/857-2833 or 830/456-1485 for reservations and more information. Love is in the air so stir up some romance in the kitchen with a Valentine's Day dinner that is easy to prepare, special and delicious at the Fredericksburg Cooking Academy kitchen at Town Creek Bed & Breakfast, 304 N. Edison on Saturday from 6 - 8:30 pm. Join Joe Houde and Carol Seminara as they show you how to "romance the stove". Cost is $65, with limited space, so do not hesitate to call 877-777-6848 or 830-997-6848. Enjoy an artist reception on opening night of their month long art show, at Fredericksburg Art Gallery, 314 E. Main Street, Friday night from 6-8 pm. Please call 830/990-2707 for more information. 30 award winning artists from Texas and beyond will be showing new original works of art for the very first time at Fredericksburg Art Gallery, 314 E. Main Street, from February 8 until March 8. Please call 830/990-2707 for more information. The Trois Estate, located at 300 Trois Lane near Enchanted Rock, will offer a special five-course dinner on Thursday, February 14. Cost is $55 per person plus tax and gratuity and includes a long stem rose. Wine will be available upon request from The Trois Estate Premiere Wine menu. To attend, make reservations by calling 830-685-3090 or 830-685-3415. Award winning recording artist, Sherrill Douglas is doing three different shows in three nights at Fredericksburg Event Center, 224 FM 2093. Thursday night is a musical tribute to Divas, Darlings and Legends of Country and Rock, Past and Present. Advanced tickets are $20, tickets at the door are $25 or a three show package is $50. Please call 830/990-1010 for tickets and more information. Enjoy Valentine's Day having dinner at Becker Vineyards 11 Miles East of Fredericksburg on Highway 290 at 6:30 pm. Cost is $85 per person, plus tax. For reservations please call 830-644-2681. August E's will reopen on Friday, February 8 at its new location at 203 E. San Antonio Street in Fredericksburg. For information, call 830-997-1585. Make this Valentine's Day celebration a lasting memory at the vineyards on the northwest shores of Lake Buchanan in Tow, Texas, on Saturday, February 9. Fall Creek Vineyards invites you to enjoy a romantic lunch prepared by Navajo Grill. They are also delighted to offer a vegetarian alternative for lunch. There will be two seatings, 11:30AM and 1:30PM. Reservations are limited, so do not hesitate. This all inclusive lunch includes three courses, accompanying wine and a rose all for $40 per person. Please call 325/379-5361 for more information. Quiet Hill Ranch will resume horseback riding at its 110 Quiet Hill Road location in Doss. For information, call 830-669-2253. Comedy about a couple of empty nesters whose grown children move back home. Performances are at The Point Indoor Theatre, 120 Point Theatre Rd South, in nearby Ingram, February 1-16 at 7:30 pm. Call (830) 367-5121 for detail. 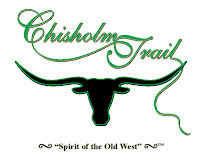 Fredericksburg’s Chisholm Trail Winery will hold its annual Black Tie Dinner February 9. A mixer with champagne and waiter-served hors d’oeuvres will begin at 7 p.m., followed by a candlelit dinner in four courses accompanied by various Chisholm Trail wines. Harpist Emily Johnson will provide music during the evening. A silent auction to benefit Shriners Hospitals for Children will also be held. The Valentine-theme dinner will be catered by Vickie Bonewitz of My Own Chef Catering. For reservations, call (830) 990-2675.